After assuming the superintendency of South San Antonio Independent School District in 2014 and facing a budget gap of $4 million, Dr. Abelardo Saavedra partnered with DMGroup to take a hard look at the district’s spending and staffing, launching a detailed study of staffing in both general education and special education. The challenge was to close the budget gap while finding ways to make new investments to raise student achievement, better meet the increasing needs of the district’s population, and upgrade aging technology and facilities. South San Antonio ISD, in conjunction with DMGroup, began by examining the current state of staffing across the district’s 15 elementary, middle, and high schools, and across all types of classes. The goal was to address strategic questions such as “Does staffing at each school match changing enrollment?” “Is staffing addressing the needs of students?” and “Are all teachers teaching a full load to full classes?” The team collected granular data on class sizes and class schedules as well as qualitative data to gain additional insight from those closest to the work. Despite the prevailing belief among staff that the district’s budget was tightly managed, the analysis identified opportunities to shift funds in both general education and special education, across all levels. Facing the pressing need to close the budget gap and wanting to quickly invest in improving student outcomes, Dr. Saavedra and his team decided to focus primarily on the potential opportunities identified in general education, with more limited changes to special education services. 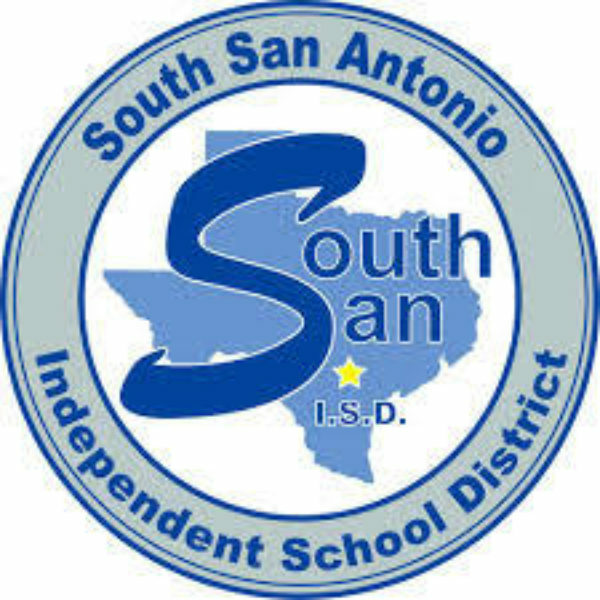 As a result of this work, South San Antonio ISD and DMGroup were able to identify approximately $8 million in potential funds to shift toward district priorities. Most impressive, the district was able to fully operationalize $3.5 million of these spending shifts in just a matter of months, while also serving students more effectively. The difference between the historical way of managing staffing and costs in the district and the granular approach of the resource allocation was like night and day. To gain a deeper understanding, the data collection portion of the work included extensive interviews with school principals, district leaders, and various staff members. The interviews provided insights that would help shape the best solutions and approaches to implementing changes and also provided an opportunity to discuss new approaches to staffing with stakeholders. Interestingly, the analysis of the data and insights from the interviews revealed that there was no large single area of opportunity in general education. Instead, the district discovered many smaller opportunities that it could act upon fairly quickly, which added up to a significant amount of savings that could be shifted to strategic priorities. At the elementary level, for example, the gifted and talented program presented some compelling opportunities to improve opportunity for students while also being more efficient. While the district closely managed the size of general education classrooms in grades K-4 in accordance with state-mandated guidelines, the same close management was not applied to gifted and talented class sizes. As a result, the district found that many elementary gifted and talented classrooms across South San Antonio ISD fell well below the state-mandated maximum class sizes and, in fact, had the smallest class sizes within their grade levels—smaller than elementary general education classrooms and even bilingual classrooms. Applying the existing guidelines to the gifted and talented classrooms allowed the district to free up substantial funds (in excess of $600,000) to reallocate to other initiatives. And, by moving some students “on the cusp” of current eligibility into gifted and talented classes, the district was able to expand the opportunity to more students. In the middle schools, a room-by-room review revealed that classes were, on average, smaller than elementary classes. This discovery surprised district and building leaders because the low average was masked by substantial variation: while there were some very small classes, there were also some very large classes of 28 or 29 students within the middle schools. The knowledge of these large classes created the perception that South San Antonio ISD middle school classes were large and generated pushback from staff and parents, clouding the truth that, in fact, many small classes existed, as well. The solution was not to raise class sizes but to hold class sizes to a more consistent target, reducing the variation in size between middle school core classes. By doing this, the district could not only shift funds (in excess of $700,000) to strategic priorities but also improve equity for teachers and students at the middle school level. At the high school, Career and Technical Education (CTE) was an area where the district was able to identify opportunities to improve efficiency. Nearly 70% of South San Antonio high school CTE courses had 19 or fewer students, and several had fewer than 10 students enrolled. District leadership had not managed CTE class size as closely as other secondary course enrollments due to a perception that managing CTE courses was more complex. However, by applying a structured review of course enrollment to CTE classes, the district was able to shift nearly $900,000 to fund high-priority initiatives. I think staff are all believers now. They very quickly adjusted and continue to be effective, as demonstrated by the performance of the district. When you are able to achieve efficiency in the way the district allocates resources, the opportunity to improve performance becomes very real. Findings from the staffing analysis confirmed that the district processes for managing staffing were not well-defined or transparent. Dr. Saavedra and his team, therefore, set out to apply a coherent structure to staffing decisions. Their plan did not require increasing class sizes above current policy; instead, it followed existing guidelines, developed new guidelines where needed, and ensured that all guidelines were applied with fidelity across schools. By establishing clear guidelines for nearly every position, grade, and course, the staffing process became more precise and put students first, rather than prioritizing what had been done in the past. With a thoughtful approach to enacting changes, Dr. Saavedra and his team were able to make the necessary adjustments to close the budget gap and shift funds to strategic priorities while minimizing negative effects on staff. In fact, virtually every staff member who planned to come back to the district was able to do so. In some instances, South San Antonio ISD was able to take advantage of natural attrition. In other instances, district leadership was able to utilize staff members differently in order to fill district needs. Additionally, shifting staffing wasn’t nearly as hard as in the past. The clear, transparent nature of the decision-making process helped building leaders receive the changes as fair and reasonable, rather than arbitrary. The district was not pursuing “across the board” cuts in order to close the budget gap, but rather was taking a strategic approach, identifying inefficiencies based on detailed data and then shifting funds toward district priorities to improve student outcomes. The district’s strategic approach was key to its success in shifting funds to priority areas in short order, and in institutionalizing the process in their ongoing management. Staff could clearly see the long-needed improvements to facilities and the purchase of new technology that would allow them to better equip their students with skills to navigate the 21st century. Additionally, the adjustments made were not detrimental to the district’s outcomes; in fact, outcomes improved after South San Antonio ISD took steps to run more efficiently and be mindful of the investments they were making. The district saw improvement in the first year on the state assessment, with no schools identified as “improvement required.” This was progress compared to the year before when two schools had been identified as such. Dr. Saavedra was particularly proud of the comparison to surrounding districts; South San Antonio ISD has one of the highest poverty levels compared to surrounding districts, yet had no schools deemed to need improvement. The district also increased its state awarded distinctions – earned when schools perform in the top quartile of their comparison group – from 21 to 27, a 28.5% improvement. By being systematic and thoughtful, the district was able to identify $8 million in funds without having a negative impact on students – enough to close the $4 million budget gap and allocate an additional $4 million to new initiatives and strategic priorities. Focusing primarily on opportunities identified in general education, with more limited near-term changes to special education services, the district was able to fully operationalize $3.5 million of spending shifts very quickly, in just a matter of months. By establishing clear guidelines for nearly every position, grade, and course, the staffing process moved from one governed by history or persuasion to one based on precision and putting students first. Across all levels, pockets of variation in class sizes existed. The district did not raise class sizes but did establish clear class-size targets, thereby reducing variations in class sizes and improving equity for students and staff. At the elementary level, the district found small class sizes in the gifted and talented program and instituted new guidelines to include more students, potentially raising the achievement of these students by placing them in a more challenging academic environment.